Use your Kounta Point of Sale data for activity tracking & labour demand forecasting to assist with rostering. TheKounta Point of Sale add-on can be added to your account by navigating to Add-Ons > Kounta. 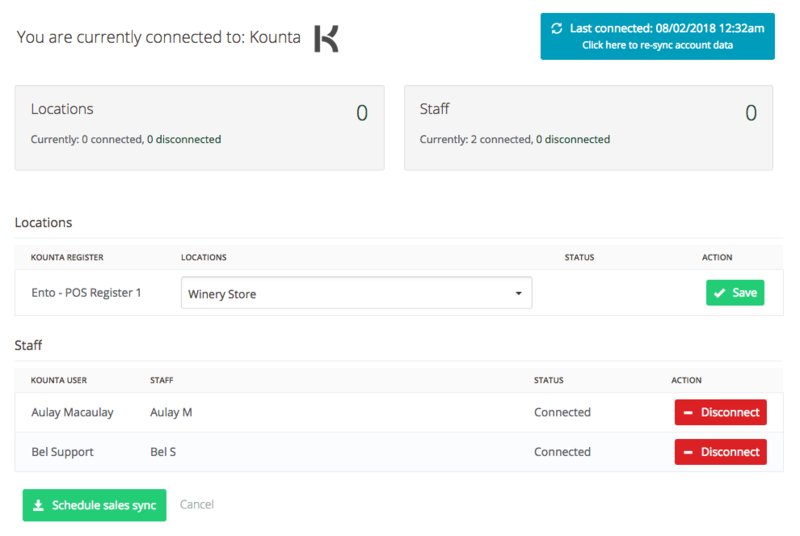 When you click the add-on link you will be taken to Kounta to login. 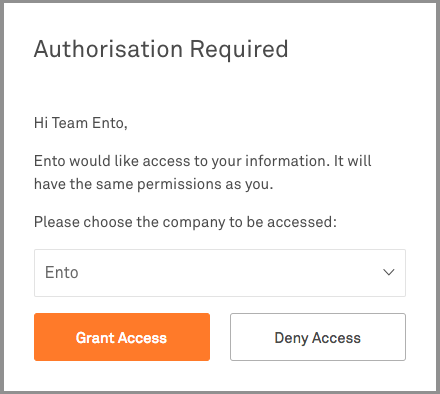 Once logged in you will be asked to grant Ento access to your sales data in Kounta. 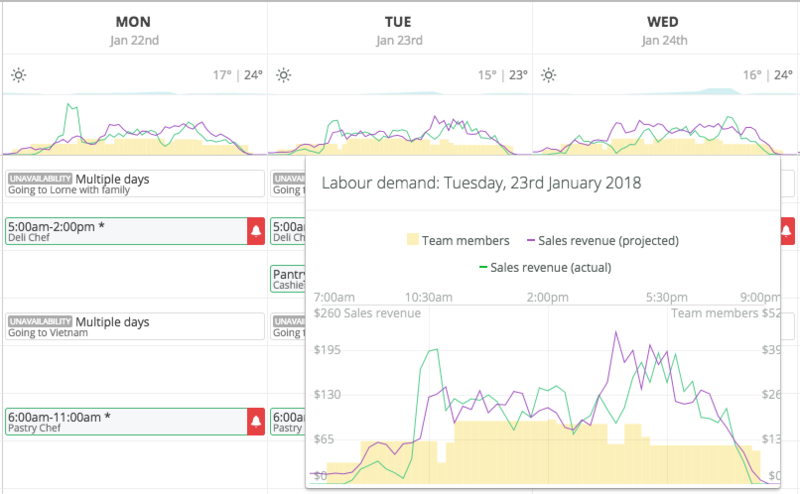 Once configured, imported sales data can be used for labour forecasting on rosters. On past rosters projected revenue vs. actual revenue will be plotted for comparison. More on the setup of Activity tracking & labour demand forecasting in the Company settings article.